One of the most well-known Christian leaders in China, Pastor Samuel Lamb, died on Saturday (Aug 3) in Guangzhou, aged 88. 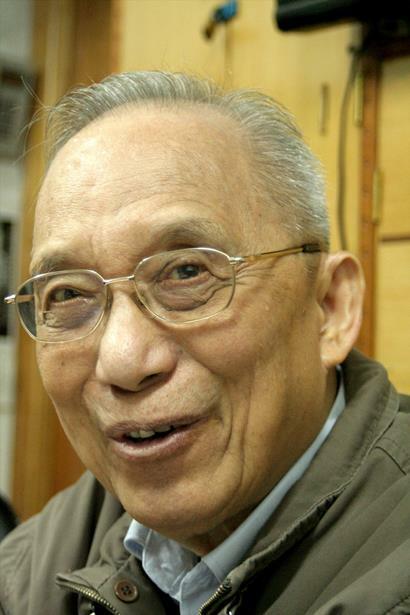 He had been arrested during one of the first big waves of persecution in Mao’s China and was first imprisoned from 1955 to 1957, when estimates put the number of Christians in the country at a few million. Lamb, also translated from the original Chinese as ‘Lam’, was targeted by the government because of his refusal to merge his illegal house church into the Three-Self Patriotic Movement, the state-regulated Protestant Church. The Chinese authorities sentenced him a second time in 1958, when he spent 20 years in labour camps. He saw his wife for the last time during the five months that he was on remand; she died in 1977, a year before Lamb’s sentence ended. After his release, he again took up his work as a pastor, during which he was able to witness the exponential growth of the Chinese Church. In 1979 he started his house church in 35 Da Ma Zhan in Guangzhou. Attendance grew quickly and he had to move his congregation to a bigger building in the same city. Today his urban house church is still unregistered, but tolerated by the authorities. Simultaneously, he became an example for millions of believers in China, where today estimates say there are now about 80 million Christians – some estimates claim one tenth of the population is Christian. His story of steadfast resolution and determination has also inspired and encouraged millions of Christians outside China; a book about him has been published in America. Samuel Lamb (or Lin Xingiao in Chinese) was born in 1924 to Chinese Christian parents in a mountainous area overlooking Macau on the southern coast of mainland China. His father pastored a small Baptist Church, so Lamb was raised as a Christian. He first preached when he was 19. He was first imprisoned in 1955; his sentence lasted almost 18 months. In 1958, he was again arrested and ended up behind bars for 20 years. The government used to forbid Christian leaders to preach about the second-coming of Christ and to teach minors under 18-years-old. Lamb’s theology challenged the government and the attendees of his church, as well as other Christians inside and outside China. He taught that Christians should obey the government unless those leaders directly opposed God with their law enforcement. “The laws of God are more important than the laws of man,” he used to say. Suffering played an important part in many of Lamb’s sermons. He was famous for repeating: “More persecution, more growth”. That phrase had not only to do with numbers of believers, but also with spiritual growth. Lamb saw that China has changed in the past decades and that Christians are now granted more freedom. Still he wanted to make sure that Christians do not too easily assume that nothing will happen to them. Even though his congregation was still illegal, it hasn’t been raided in years but he always remained cautious about the government. To reach the church of Pastor Lamb in Guangzhou today, you have to zigzag through the narrow streets of the city. It is not a detached church building, but simply a block of three-storey houses. In a neighbouring block, another two storeys also serve as part of the church. His memory used to occasionally let him down, but with a broad smile on his face, he regularly received international visitors to his house church: travellers, journalists, consuls and other high-ranking people. His death leaves a hole in the Chinese Church. Together with other renowned figures like Wang Mindao and Allen Yuan, he symbolised the bravery of a Church that grew at an unprecedented speed in world history. Long after his passing it will be said in many churches that more persecution only has one outcome: more growth.